Phyzit TCM is a transition of care management solution. 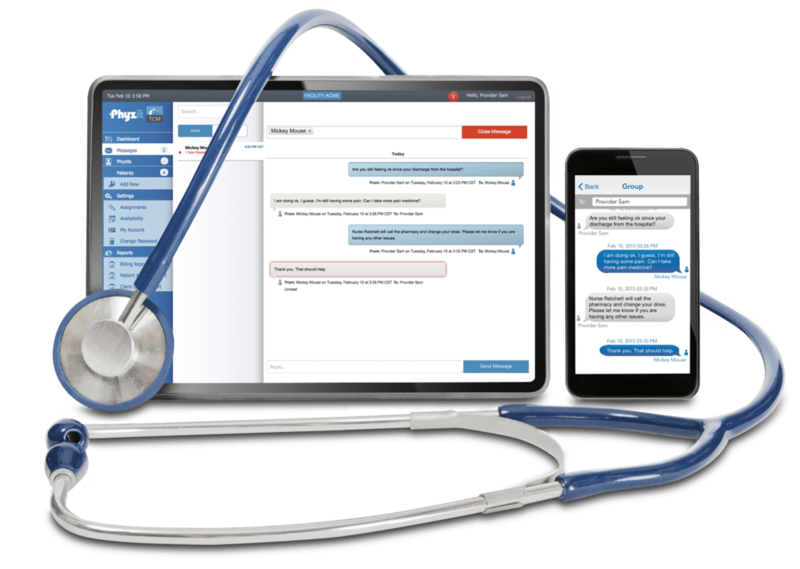 The Phyzit solution allows physicians to visit patients via secure Video conferencing solution virtually. Phyzit is currently an iOS-based solution on the client side with a .net based backend hosted on Microsoft Azure. Phyzit is integrated with Athena EMR. After a few unsuccessful attempts to develop this system by other offshore vendors, Phyzit Management engaged Technosoft for this task. EMR Care Management Solution has worked with the Offshore company and local vendors. Both experiences did not produce any fruitful result. The opportunity was given to Technosoft to create the system from almost scratch. Technosoft provides all development, deployment and level 2 help desk support services. Information is saved offline and sync with server securely and is available even without internet connection. Technosoft and Phyzit in Press.